Energy Minister Yuval Steinitz says '90%' of Turkey's conditions have been met, possibly paving way for lucrative natural gas deal. An Israeli minister close to Prime Minister Binyamin Netanyahu said Thursday that nearly all outstanding issues for a reconciliation agreement with Turkey had been finalized by both sides. "I'd say we've successfully finished dealing with 90 percent of the topics," Energy Minister Yuval Steinitz said in a radio interview. Steinitz's remarks were the latest in a long series of iterations from both sides implying a deal was imminent to end the rift between the former allies. Turkey was a key regional backer of Israel until the two countries cut ties in 2010 over the deadly storming by Israeli commandos of the Mavi Marmara, a Turkish ship manned by Al Qaeda-linked Islamists, as it attempted to breach the military's blockade of Gaza. 10 Turkish Islamist extremists were killed after attacking Israeli soldiers with knives, clubs and at least one pistol, leaving several soldiers seriously wounded. Under US pressure Israel apologized to Turkey in 2013 for the incident, in what many thought would trigger a warming in ties, but tensions soared again the following year when Israel launched a military offensive to stamp out rocket fire from Gaza. After years of bitter accusations and inflammatory rhetoric, the two sides held secret talks in December to seek a rapprochement, with another round taking place in February in Geneva. Pressed by 103FM radio to say when he thought a deal might be completed, Steinitz said he hoped "in the coming weeks." "There is a huge interest on both sides - a strategic interest and an energy-related and economic one," he said. The minister added that the passing in Israel of a long-debated agreement aimed at enabling the export of some of the country's natural gas to Turkey and Europe would help speed up a deal. 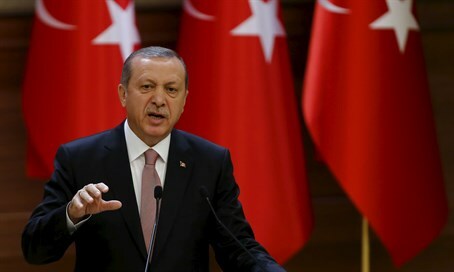 On Tuesday, Turkish President Recep Tayyip Erdogan said that they had "made some proposals" on ways to ease the shortage of electricity and water in Gaza. "The developments look like they are going positively," he said. Turkey has repeatedly insisted on three conditions for normalization: the lifting of the Gaza blockade, compensation for those killed aboard the Mavi Marmara and an apology for the incident. Israel has already apologized and negotiations appear to have made progress on compensation for the victims of the raid. The Gaza blockade has been the main hurdle.